Welcome to Memorable Monday! The purpose of Memorable Monday is to showcase an influential book read in the past that still sticks with you today. This fun Monday morning post is hosted by the lovely Becca at The Becca Files. 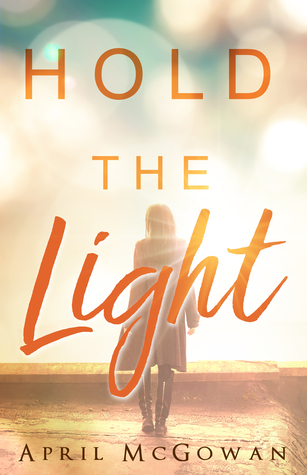 If you have not heard of Hold the Light by April McGowan, I implore you to buy a copy of her novel today. April’s writing is fantastic, and this story is excellent. This book ripped my heart in two! Here’s the premise for this book: Amber, a prolific artist and art teacher, is suddenly going blind. What is she going to do? How is she going to adapt to life as it throws her into a path that seems to take everything away from her? This book is just amazing. I was right there with Amber as she went through her ups, downs, and denials about her new path. And her best friend, Shannon, is a perfect best friend. She is there to support Amber through this horrible time, but she also won’t sugar coat things for Amber. When Amber needs a shoulder, Shannon is there. When Amber needs a wake-up call, Shannon is there. It’s a beautiful and very realistic friendship. And then, there is Ethan. Ethan is swoonalicious and wonderful. That’s all I’m saying about him! Go get the book!!! To read my full review of this fantastic novel, click HERE. Amber spent her life adapting first to being abandoned by her birth mother as a toddler, and then to the death of her adoptive father in her teen years. Now she’s moved past all that, loving life as an independent woman: she has a job as an art instructor and the perfect apartment. But when a routine eye appointment reveals she’s losing her sight, life comes to a halt. Pressures come at her from all sides. Her mother, her boss, her boyfriend and her closest friend, Shannon, all have ideas about what’s best for her. 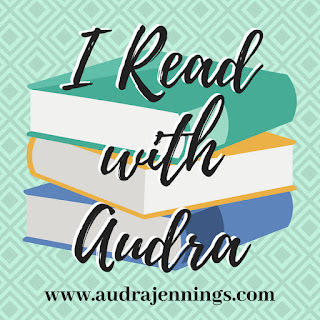 Share a book you’ve read in the past and explain briefly why it’s so memorable to you in the comments below. If you would like to join Memorable Mondays, check out Becca’s blog site by clicking here. Scroll to a Memorable Monday post for info. I have so many that are memorable. But the joy today is I have found a book that is sticking with me while I read it. It’s called The Leper Messiah by RML. It’s fantastic. Tells the story of David, and then what could’ve been and what was all mixed in together. These kinds of Biblical Fiction works really open my eyes to things that I never would’ve though of by myself! The book page is RMLwriter.com, it’s an excellent read! I adore Biblical fiction. Thank you so much for sharing. I will definitely have to check this book out. I don’t think I’ve heard of this one but looks like an amazing read! I think you would really like this one, Becca!